Welsh language digital station BBC Radio Cymru 2’s is celebrating its first birthday this week with a tour of the country. Breakfast show presenters Dafydd and Caryl will visit workplaces, community centres and schools around Wales starting today. 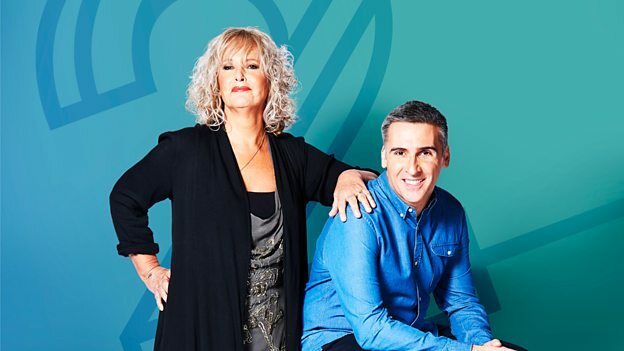 Radio Cymru 2 launched on January 29, 2018, with its Sioe Frecwast breakfast show offering more choice for Welsh-language listeners in the morning, with music, chat and entertainment. During the anniversary tour, Sioe Frecwast presenters Dafydd Meredydd and Caryl Parry Jones will be sharing cakes, collecting song requests and attempting to create the world’s biggest virtual choir to sing Pen-blwydd Hapus (Happy Birthday). Monday, January 28: BBC Wrexham; Cylch Ti a Fi at Bethesda Chapel, Mold; Ysgol Glan Clwyd, St Asaph and Conwy County Borough Council offices, Colwyn Bay. Tuesday, January 29: BBC Bangor; Gwynedd County Council offices, Caernarfon; Ysgol y Moelwyn, Blaenau Ffestiniog; and Caffi Alys, Machynlleth. Wednesday, January 30: BBC Aberystwyth; Ceredigion County Council offices, Aberystwyth; Ysgol Henry Richard, Tregaron and Cardigan Castle. Thursday, January 31: BBC Carmarthen; Carmarthenshire County Council offices, Carmarthen; Ysgol Maes y Gwendraeth, Cefneithin and Canolfan Gartholwg, Church Village. In other news, the station is being added to Virgin TV channel 913 in addition to outlets on Sky 0154, Freesat 718 and Freeview 721. Why is gaelic such a lovely sounding language yet welsh sounds like a cat coughing up a hairball. This total waste of space and time. Truth is very few people listen to Radio Cymru and so they started this shambles to try and attract a new audience, which it has failed too do. It is a well known fact that this national station , RC2, attracts on average …an audience in double figures!! !….two ..not three !!!! !.The BBC have refused to give any indication of the cost of this shambles. Radio Cymru is the most expensive radio within the UK….20p per user per hour, and should be scrapped with the project handed over to the commercial network. A waste of 18 million pounds of tax payers money.